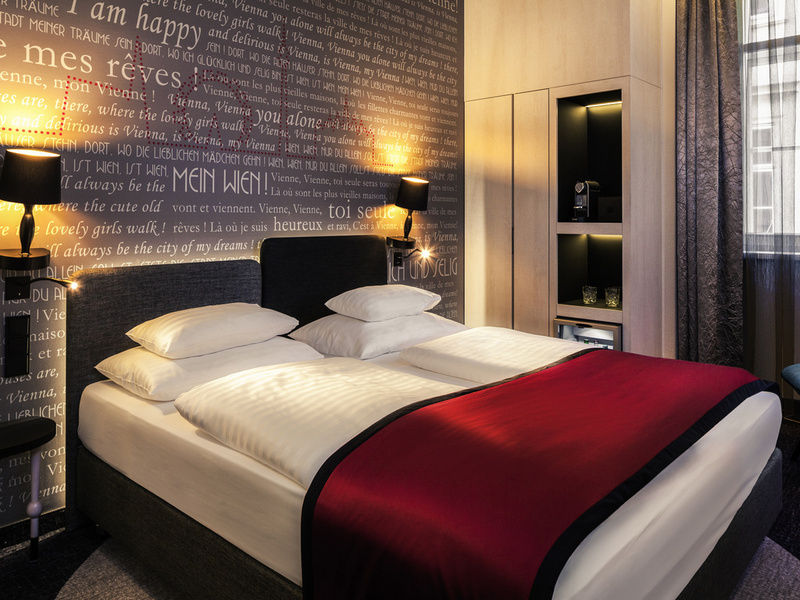 The Mercure Vienna First hotel is your exclusive residence in the heart of Vienna, just a stone's throw from St. Stephan's Cathedral and Hofburg Imperial Palace. The boutique hotel, with its friendly atmosphere and exceptional style, has 49 air-conditioned rooms with free WIFI and satellite TV. Enjoy the special ambience created by the perfect mix of history and modernity. Schwedenplatz and Stephansplatz U-Bahn stations are just a few minutes' walk away. With its imperial splendor, Vienna is one of the most beautiful cities in the world. As a guest at the Mercure Vienna First, you are close to all the main attractions and, thanks to the central location, most sights are within easy walking distance. The hotel has 49 non-smoking rooms. Choose between Standard and Privilege Rooms and the Executive Suite. All rooms feature a functional desk, free WIFI and coffee and tea-making facilities. Historic and modern - a unique location in terms of both architecture and cuisine. Be seduced by the special atmosphere, the delightful scents from our open kitchen, the lounge music and a glass of fine wine from our wine cellar. Hotellet motsvarade våra förväntningar med läge och standard. Fina, fräscha rum och mycket tillmötesgående service. Bra möjlighet att parkera bilen i närliggande garage till rabatterad pris. Bra frukost i trevligt miljö, dock gillade vi inte barstolarna som är klumpiga. Vi kommer att rekommendera hotellet till våra bekanta och återvänder gärna vid nästa besök av Wien. Kanonbra! Hängiven och kunnig personal. Kändes som hemma. Trevlig och duktig personal, fräscht och fint, fantastiskt läge, härligt rum.